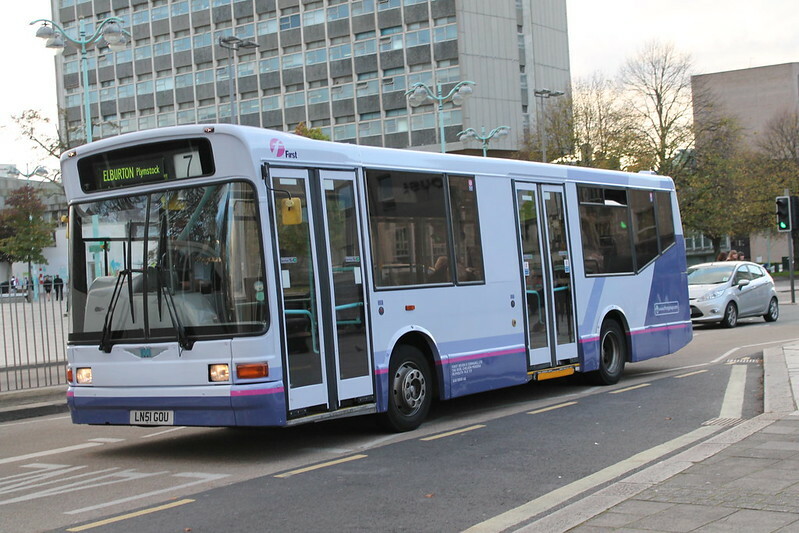 Thanks to Richard Smith for this nice shot of recently repainted Dennis Dart 41795 in First new livery. Whilst not the oldest bus into the new scheme its still a surprising repaint being the first Marshall Dart and the first dual door non articulated bus into the livery. Now I actually like the new livery but it has to be said it really doesn't work on this bus, especially on this side! The livery is awful, it doesn't look that good on double deckers, but on the dart it looks worse!!! Although it is an improvement on the red it wore previously. I do think this livery suits the P&R E400s brilliantly, it certainly doesn't look right on these Darts, and in my own opinion any single decker!